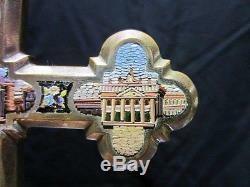 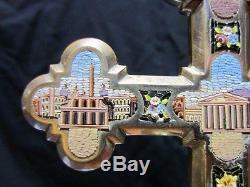 Art nouveau or art deco style to italian bronze silver plated corss with micro mosaic application depicting roman scenes. 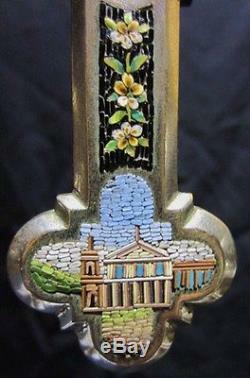 It is excellent shape considering age rub off can be seen and some loss of mosaics please see images looked up close. " 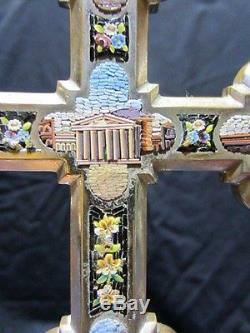 high by 4 1/2" diameter. 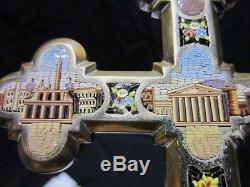 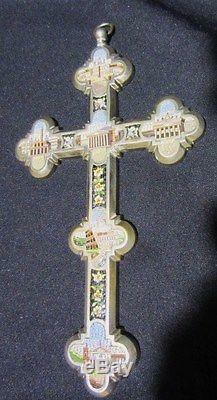 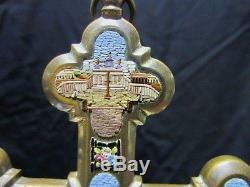 The item "Italian micromosainc cross bronze silver plated miniature roman scenes hand made" is in sale since Saturday, January 7, 2012.